What is the Discovery 947 Rhythm Run? Test your endurance, have a blast with friends and light up the night at the Kyalami Grand Prix Circuit for the third ever Discovery 947 Rhythm Run. Enter a team for your colleagues, department, friends, family, gym buddies and running groups to take advantage of this awesome opportunity to get to know each other a little better ��� outside of work. It���s great motivation to get your team active and may even trigger a new fitness culture at the office. Take to the race track on foot to test your pace over 4.7km* or a double lap of 9km*. An epic after-party awaits you once you���ve crossed over the finish line and is guaranteed to keep you on your feet as you celebrate with 947 DJ���s and other local personalities. When is the Rhythm Run? 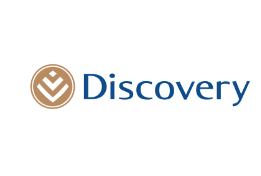 The Discovery 947 Rhythm Run will take place on Saturday 25 May at Kyalami Grand Prix Circuit. How many Vitality Points do finishers receive? How much is the entry fee and what will I receive in my race pack? How can I enter the Rhythm Run and do I have the option to run/walk? Entries were only available online and are limited to the first 8 500 entries. Methods of payment are: credit card and Fast EFT ��� both are accessible on the online entry system. You have the choice to run/walk, bearing in mind that the event is timed. Can anyone enter the Rhythm Run? Anyone over 18 years old can participate in the Rhythm Run. The event is wheelchair friendly, although no prams or pets will be permitted. Yes! If you enter your Corporate Team of ten or more by 22 March, the 947 crew could be dropping by your office and you���ll go into the draw to win the grand prize valued at R50 000! You can order and pay for your team via a voucher-system upfront. These voucher codes would then be issued to each participant who would enter individually online and insert their voucher code as payment. Please contact us to purchase voucher codes. Should you have less than 10 participants, you can enter via the online registration and select "add another���. When is the closing date of the Rhythm Run entries? Entries will close once our capacity of 8 500 has been reached or by 10 May 2019. Do I have to qualify for the Rhythm Run? You do not need to take part in any qualifying races prior to the Rhythm Run nor do you require a temporary licence. Is the Rhythm Run timed? Yes. The timing chip provided in your race pack (at no extra fee to you) and will need to be attached to your running shoe. Participants must complete the first lap within 40 minutes or less in order to commence a second lap. When should I expect to receive my race pack? Race packs will be couriered to you within the 2 weeks leading up to the event. What is the Discovery 947 Rhythm Run Speed Lap with Afrihost Fibre? The Speed Lap with Afrihost is an exclusive double lap for one thousand competitive runners only. This will allow you to really test your pace along the pristine track, and there are cash prizes up for grabs for the top three fastest men and women! Speed Lap participants are required to run two laps (9km*) of the Kyalami Grand Prix Circuit. Speed Lap participants are required to complete the first lap within 35min or less. Courtesy of Afrihost Fibre, all those who enter the Speed Lap will receive R1 500 off their first 3 months of service with Afrihost Fibre (that���s R500 per month)! In addition, they will also receive up to R4 000 towards their start-up costs. This includes installation costs, activation fees and a Wi-Fi Router*. T's and C's Apply. How can I enter the Speed Lap with Afrihost Fibre? Entries are only available online. Methods of payment are: credit card and Fast EFT ��� both are accessible on the online entry system. 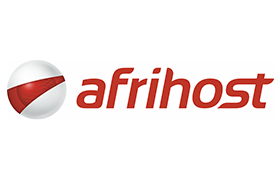 Can anyone enter the Speed Lap with Afrihost Fibre? Anyone over 18 years old can participate in the Speed Lap, however, Speed Lap participants are required to run two laps (9km*) of the Kyalami Grand Prix Circuit. Speed Lap participants are required to complete the first lap within 35min or less. Participants who have not completed their second lap by 17:10 will be swept off the route and returned to the finish area. When is the closing date of entries? Entries will close once our capacity of 1 000 has been reached or by 10 May 2019. Do I have to qualify for the Speed Lap with Afrihost Fibre? Is the Speed Lap timed? Yes. The timing chip provided in your race pack will need to be attached to your running shoe. Participants must complete the first lap within 35min or less to avoid being swept off the track, in order to commence the second lap. The Speed Lap is a group start and will begin strictly at 16:00. You need to be on time as you can only access the starting line for the speed lap until 16:05. If you arrive later than 16:05, you won���t be able to run the Speed Lap. However, don���t worry, you can take part in the fun run starting at 17:30. Speed Lap runners must complete the first lap within 35min or less. If you have not completed your second lap by 17:10, you will be swept off the route and taken to the finish area. If you are a prize winner, you will only qualify for the prize if you are wearing an official race number and timing chip. The first three men and women to complete two laps of the run will receive prize money. To qualify for prizes you must cross all timing mats on route and the official referees must verify you as the prize winner. Race packs will be couriered to you in the month within the 2 weeks leading up to the event. Event merchandise pre-purchased online will need to be collected from the merchandise store close to the start area, on the day of the event. Your merchandise will not be couriered to you with your race pack. You will be sent an email with all details for collection closer to event day. Is there a bag drop-off area? Yes, you can leave your bag with us whilst you Run. Please refer to the VENUE MAP. Parking is secure within the grounds and is free for entrants. The gates to Kyalami Grand Prix Circuit open to the public from 14:00 on Saturday 25 May 2019. Is there a pick-up/drop-off zone? Most certainly! This will be located within Kyalami Grand Prix Circuit. What is the Rhythm Run after-party? 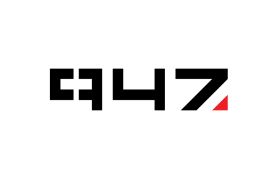 This is the entertainment provided by 947 after the run, the entertainment includes 947 presenters and DJ���s. Do I have to buy tickets for the after-party? The after-party is open only to participants, your race number gets you into the after-party. What time does the after-party finish? The after-party will finish at 22:00. Supporters tickets are on sale at a cost of R160 per person (including VAT) and are limited to 3 tickets per entrant. These tickets do not include a Rhythm Run T-shirt. of the age of Supporters at any time. Supporters tickets are non-refundable. specified times only. Supporters will not have access to the track/routes. Supporters are required to follow instructions of the marshals, security and race organisers or their appointed representatives. Will we be able to freshen up before the after-party? There will be an area where you can freshen up close to the finish. Regrettably, no showers available. What must I wear to the Rhythm Run? We want to see you in your complimentary Rhythm Run T-shirt, or your trendy activewear! Wear something fit to party in! The will be food, alcoholic and non-alcoholic beverages for sale. There are ATM facilities and credit/debit cards will be accepted.